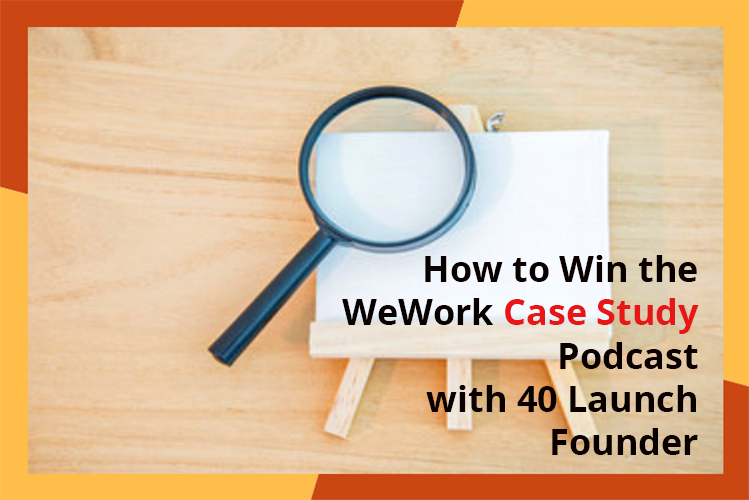 In this podcast, we chat with Edward Gordon, a prospective Product Gym (PG) student based in San Francisco. Edward is volunteering for a company that offers free Agile training and is trying to transition his career into product management. 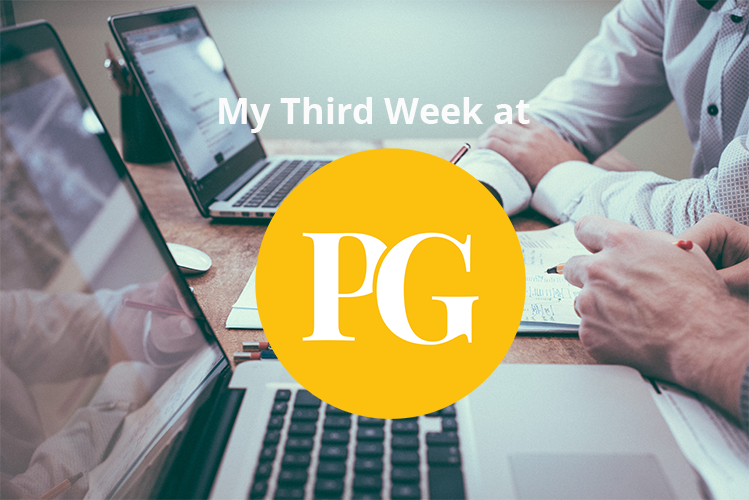 In this consultation with Rich, founder of PG, he gets advice on how effective certifications, volunteer experience, and networking are in his Product Manager job search. Richard: For the people that are going to be listening to this, joining us live here from New York, my name is Richard Chen, I’m founder of Product Gym, we just received a call from Edward Gordon, live from San Francisco, he would like us to provide some clarity on two separate issues. 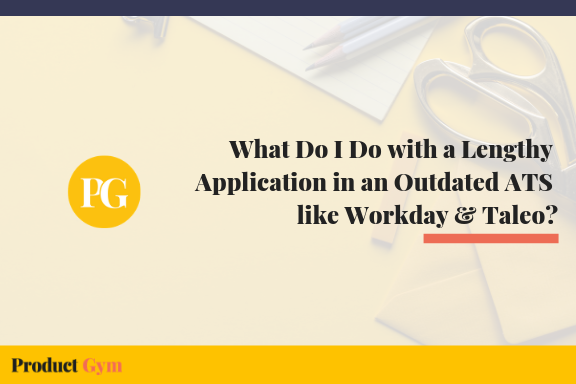 Number one: Whether or not certifications help or how does it affect the ATS (Application Tracking System). Secondly: Whether or not volunteer experience is going to be relevant towards your job. Edward: Yeah, absolutely Rich. Again, I’m here calling from San Francisco. I work with a volunteer organization named “thejobhackers.org.” We offer free Agile software development classes Tuesday and Thursday, from 7:30 AM. 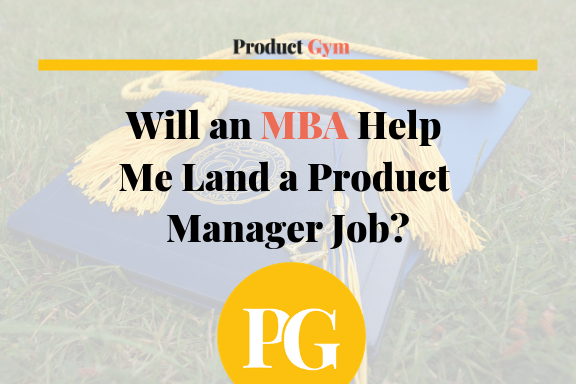 We see that there’s a lot of it that could be beneficial to anyone that wants to go into product management, we’re offering a really great volunteer experience, and we’re wondering how that could be helpful to Product Gym members, or if it could be helpful at all. Richard: “thejobhackers.org.” I’m on your website right now. It looks like you guys are doing some phenomenal work. Edward: I appreciate that. Most people say we’re just dreaming. Richard: Hey, a few years ago, people said I was dreaming and see where I am now. It’ll go by before you know it, and people will see the results of your hard work, and people will know how much hard work you put through the process. As long as you are making progress towards where you want to go, I can tell that you guys have some great potential. Question 1: How effective are certifications in the Product Manager job hunt? Richard: In reference to your first question, to clarify, it’s “Does having certifications help you in the job hunting process, particularly, how it influences the ATS?” Is that the first question? Edward: That would be correct. Richard: Okay. The Application Tracking System (ATS) isn’t peered towards tracking any type of certification at all, whether it’s a Certified Scrum Master (CSM), PMP, product manager certification, a CFA, CPA, MBA; none of those certifications are going to give you a competitive advantage from the standpoint of the the bot that’s looking through all these different profiles. It would not influence it, and it’s not going to give you even an extra percentage point above. So, from the ATS alone, I can tell you, it makes no difference. Secondly, having been a recruiter myself, I can tell you that those certifications, in the eyes of human being recruiters, also do not matter, because, look at the barrier of entry to getting those certifications; a lot of these guys end up coming to my class, we coach people who are Stanford MBA grads, Wharton MBA grads, all the top schools that you can think of, in New York and San Francisco, these are two very expensive areas to live in. 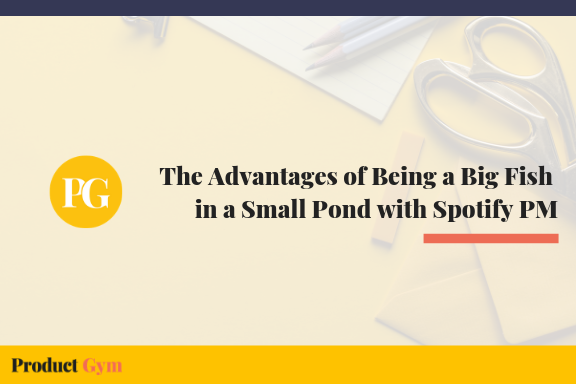 You’ve got a very competitive talent pool in a highly concentrated area. Having an MBA certification has, in no way shape or form, made it easier for these people increase the quantity of product manager interviews that they’re getting, nor has it improved the quality of their interviews by improving their conversion ratio. So, certifications do not matter. I’ve never looked at a resume, saw somebody had an MBA, and I was jumping up and down. Not just the MBA, any other certification. Edward: In the cases where you have a company that’s specifically asking recruiters to find possible employees with Scrum certifications, or say they were asked for a particular level of Agile certification, are you still not seeing those being impacted by those certifications? Richard: Well, even when those companies are asking for a specific certification, in the grand scheme of things, how many companies are asking for that specific certification? Is it 50% of the market? Is it 20% of the market? Go out there and apply. I have students saying, “Hey, Rich, I’ve got three and a half years of experience, and this company is asking for four to six years of experience…” I say, just apply, what’s the worst that can happen? Are you honestly going to end up on a blacklist because you’re six months to a year short? We have people taking our program right now that are fresh from university whom are applying to jobs where you need four years of experience, and they’re still landing positions. 92% of our students across the country are taking Product Manager jobs at companies where a product manager just quit. It’s because they are the most urgent to have that role filled. At the end of the day, job hunting is a numbers game. You know what else is a numbers game? Sales. You are making a sale transaction happen. They have to be ready, willing, and able to pull the trigger on an offer, and most companies just aren’t ready, willing and able, If you don’t have all three, you’re wasting time with these people. At the end of the day, job hunting is a numbers game. We always have our students ask, “Hey, is this a brand new position, or did somebody just quit?” and “How long has the position been open?” as a follow up question. If it’s been open for too long, it’s no good, because in a city with 11 million people, as dense as New York City, do you truly believe that they cannot find a product manager? It doesn’t seem likely. 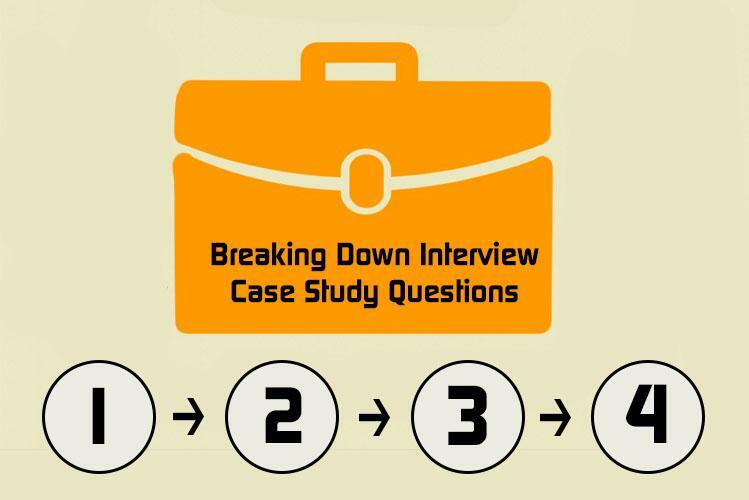 People say that we help people “game” the interview process, but I say, not really. Nobody went to school on how to hire people, and you can be sure nobody went to school on how to hire product managers, because there isn’t even a product manager bachelors or masters degree. Recruiters are just regurgitating question that they’ve heard in the past when they were interviewing for jobs. The argument that I’m trying to make is, companies do not know how to effectively hire people. And I can prove it, because nobody enjoys interviewing people on the hiring side. 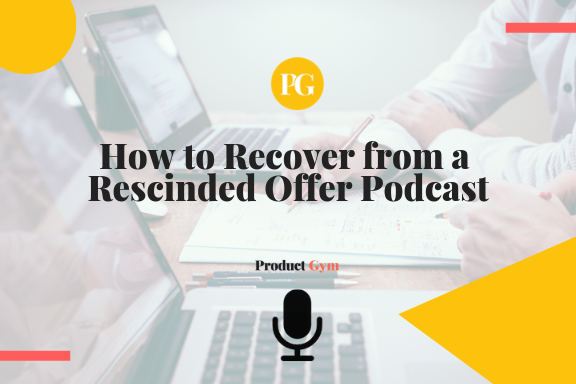 It is an immense, time consuming task, and every minute you’re not working on revenue generating activities, you’re taking a loss on the books. Within 24 hours you could fill a role in any of the five major cities for technology in this country, even if the recruiter is someone whose only had a month of experience on the job, because the candidates are out there, and there is a number of people willing to take a pay cut to get into the job out there. There is a number of product managers that are underpaid and not fairly compensated willing to make a lateral move out there. So the bigger problem is not so much “How am I going to get this job?” People should be product managing their own job search, and thinking about what’s stopping companies from giving them an offer. If you’re thinking about “How am I going to get this job?”, “Why is it that I don’t have this job?”, you’re always going to be thinking about it from your perspective. 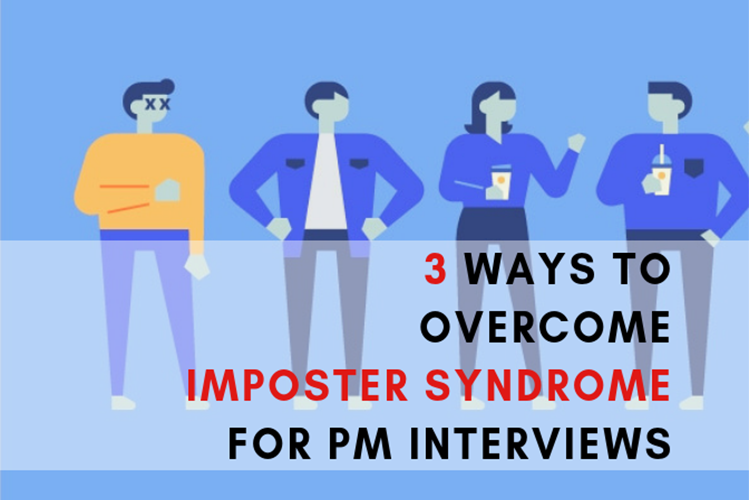 You need to be thinking about this job search from the perspective of companies, with the obstacles and hurdles that companies are having in giving you a product manager offer. Companies do not have the challenge of getting more resumes, companies don’t have the challenge of getting resumes with certifications. 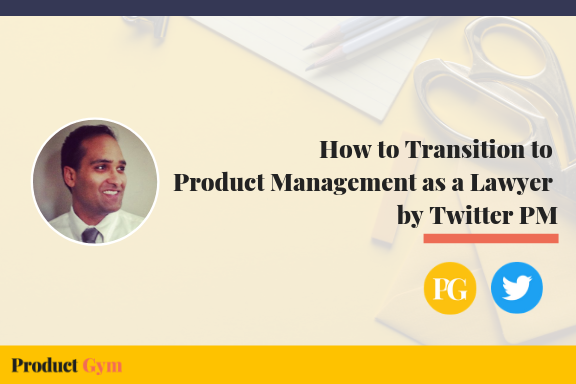 There are some certifications beyond the scope of a product manager that you need. Some of my friends that are still staffing for certain roles, they want somebody to have different certifications, but in the realm of product management, certifications haven’t done much. If you want me to prove it even further, talk to the people that have certifications already, when people come to me, and they say, “Richard, do I need to get an MBA certification?”, well, let me introduce you to this seven people that have an MBA in New York that can tell you this: 24 months and $200,000 in debt later, they haven’t found this process any easier. They haven’t found investing that time, energy and effort has increased the number of interviews that they’re getting, nor has it improved the quality of the interviews that they’re already getting. 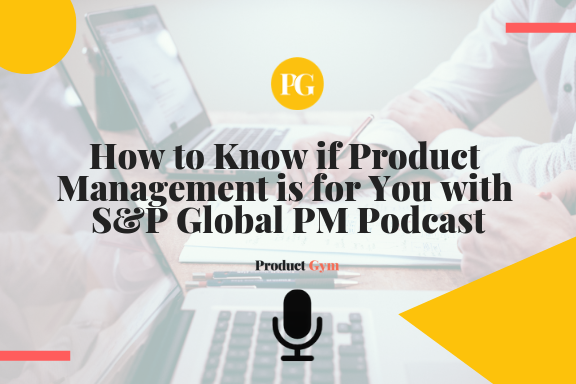 As a product manager, are you not weighing the decisions, how to invest your time, money and resources on a daily basis? Do you not have to consider and make decisions like, “Should we onboard the enterprise level version of Salesforce? Can we spend this amount of money? Are we going to hire a Salesforce developer?” Do you not have to weigh the decisions about whether or not investing that time, energy, effort Is going to make the company more money? You absolutely have to. When I’m saying all this, I’m not diminishing the effort that people are putting through to get the job, but the market only cares about the market. It doesn’t matter how hard you work, or how passionate you are, where you went to school, the market only cares about the market. When you’re dealing with landing a product manager job, you have to look at yourself as a product. Everyone else is your competition, now, how do you differentiate yourself? 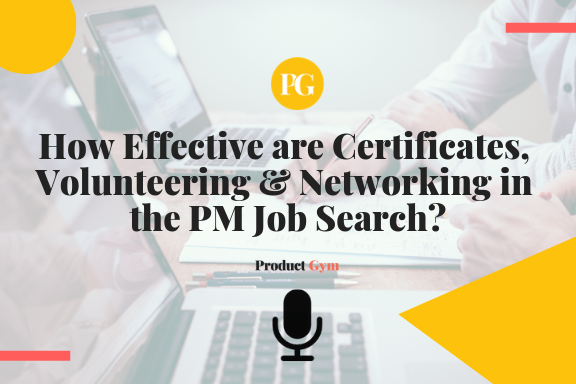 Is it by investing your time, energy, effort and money into getting more certifications? We have so many people that have certifications who could tell you it has not has not been easier. Richard: The second thing was, volunteer experience. I commend the people that do volunteering, but I don’t think volunteering is going to get you the job, because if it did, I wouldn’t be with you in a phone call right now. The only thing that’s going to help you land this product manager job is understanding how to brand your resume, LinkedIn, and cover letter, learning to apply more effectively, understanding the outreach activities that you need to commit to, to generate more interviews, understanding to not only identify what kind of questions you’re going to be asked in a product manager interview, but how to answer them in a way that’s going to be very conversation-like so people are actually receptive to what you have to say, and then, understanding that people hire people they want to work with. If we can get somebody to one first round Product Manager phone screen, we can get him 10 first round Product Manager phone screens. And if we can get you 10 first round Product Manager phone screens, we can get one second round Product Manager phone screen. And if we multiply that 10 times over, we will get one third round on site. And we can multiply those 10 times over again, we can get one fourth round on site. 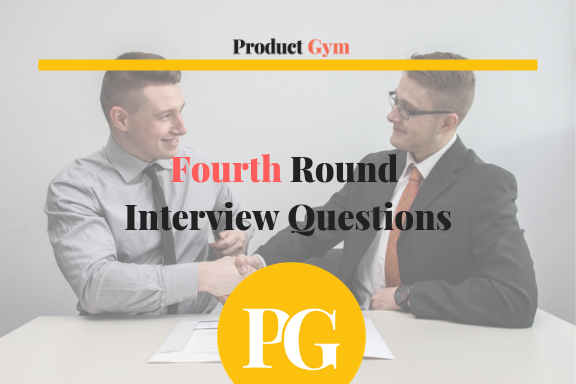 There are four rounds to a product manager interview total. If we’re getting to the right metrics, we’re going to get a lot of the offers. We told you guys the roadmap already, three to five Product Manager offers means you’re doing five to eight fourth round Product Manager interviews, twelve to fifteen product manager interviews, 25+ second round interviews, 40+ first round interviews. You’ve got to ask yourself this: “What is it that I’m doing that’s going to be increasing the quantity of those interviews, or increasing the quality of those conversions?” As a business owner, I always think about how I can double up on revenue every single day. That’s the only thing I think about when I go to sleep, that’s the only thing I think about when I wake up. Every action that I take is about doubling revenue and doubling that and then doubling that. I don’t spend my time, energy, effort or money on things that are not going to double up revenue. It doesn’t make sense. Did I adequately answer the question? Edward: Absolutely, Rich, and I just want to say, it seems like you’re all about increasing the quality of conversions, and increasing the number of interviews that are coming in. In thejobhackers.org, we’re all about increasing the quality of the work you can do in Agile software development, and working with teams as a free program. I just want to thank you so much for taking my question here today. Richard: Absolutely. 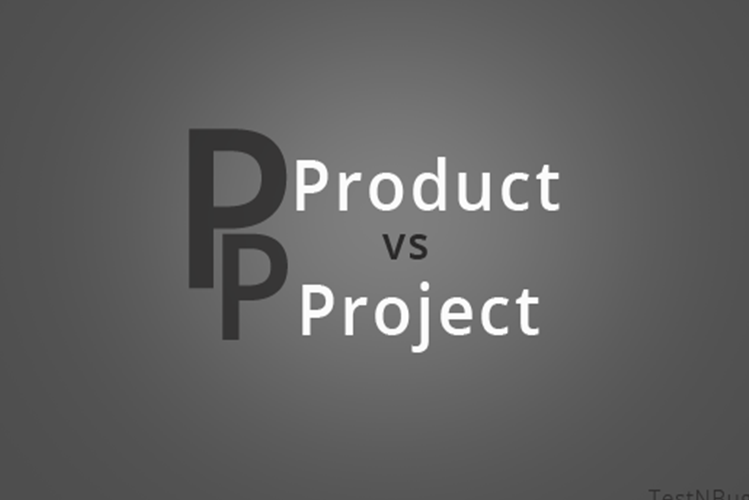 The KPIs that you guys deal with on the product side is not going to be that much different. If you take a look at a mobile app, they want to increase user engagement. They’re tracking usage time, the more that the user is on that app, the better it is for them. They want to increase the number of users, and if they have a bunch of users but nobody’s using it, you gotta figure out how to get them to use it more often. An interview question that we’re always getting all the time here is, “How do you define success?” The best way to answer that question is, “It depends, but we set up about three to five KPIs that we track religiously.” Because success can be a lot of different things to a lot of different people, even when you talk about success in the plain sense of just double up revenue, you have to figure out how is it that you’re going to do that. You’re going to get twice the amount of work done in half the amount of time, or are you going to work two times more? How do you expect to do that? I always love to to ask “Why?” five times, whatever action you’re committing to. You should also be asking yourself “Why?” five times. 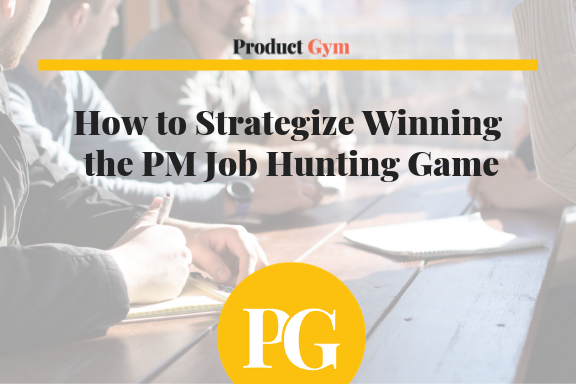 Question 3: How effective is networking in the Product Manager job hunt? Richard: People ask me like, “What about networking?” I ask, “Have you landed a product manager job by networking?” “No.” Then why do you still do it? What are you trying to accomplish by networking? Even if you talk to one of Facebook’s product managers, do you not think those product managers at Facebook have friends that they know, and they like that they can’t even get into Facebook as a product manager? Yeah, why would they do it for you? One of our students, who’s one of the first to leave New York to get a PM job at SF, he’s currently interviewing for Facebook. I told him, if you really want to get a product manager job at Facebook, the first thing you’ve got to do is get the interview. Go out there and network with Facebook recruiters, and network with them consistently for like a year, because most of the people are going after the product managers, but the product managers aren’t responsible for recruiting, the recruiters are. He’s in the final round right now with Facebook. I’m very very excited to see what we can do for him. The reason why you want to develop a relationship with the recruiters is because they’re the ones that control all the resume flow anyways. I’ve talked to so many product managers, they have no idea of the process that takes from you sending your resume from your computer until the time it lands on their desk. It’s similar to how doctors operate with nurses, nurses tell the doctors where to go, who to see, and practically what to say, without the nurses and the medical staff keeping everything running the doctors wouldn’t even know where to go. 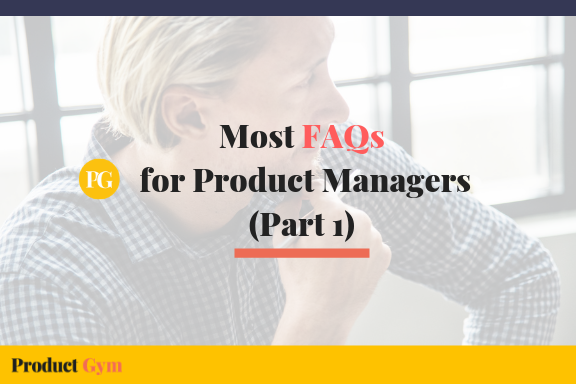 Good product managers are constantly thinking about what kind of value their product is offering in the marketplace, and how to prove that value for the people that are buying into their product. Bad product managers focus on putting out fires and solving more technical problems. 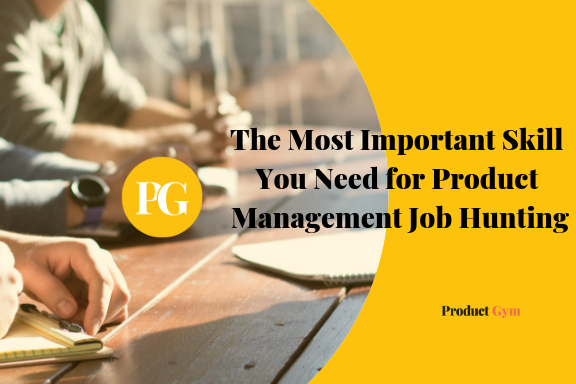 A lot of people are looking to take a product manager job right now because they see it as a step to becoming a founder, which is the next thing that I get all fired up about, when people say, “I want to be a founder.” No, you don’t, you don’t want to do what I do, the amount of sacrifices I’ve made, the amount of time I spend, the energy exerted traveling, it just seems cool from Instagram, you’re not really appreciating the amount of people I talk to in a given week, and I’m on a consultation like this basically every hour and a half. 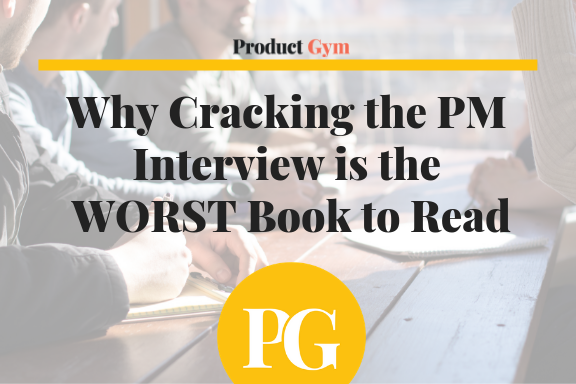 That has negatively influenced how people look at people that are trying to get a PM job. Think about those things that I showed you, you wanted to make sure those people in Slack weren’t bots. That’s just getting to the front door, we still got four rounds to go through, there’s still a long way before we get to the offer. 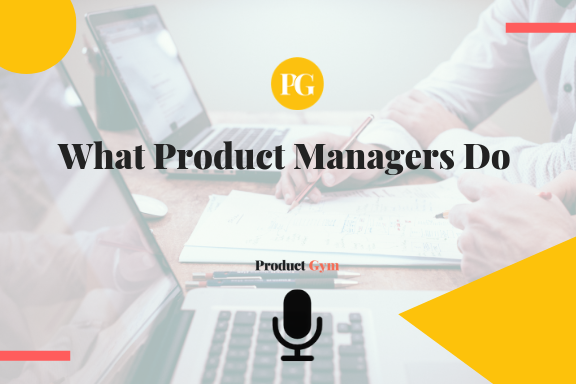 Richard: And at the end of the day, the reason why you join Product Gym, is because you’re looking for the right product manager job. If you’re looking to take a Product Manager offer, you don’t need us, but our program is geared towards giving you the best chance to get three to five offers. You could do everything right in a Product Manager interview, and fail because of cultural fit reasons. 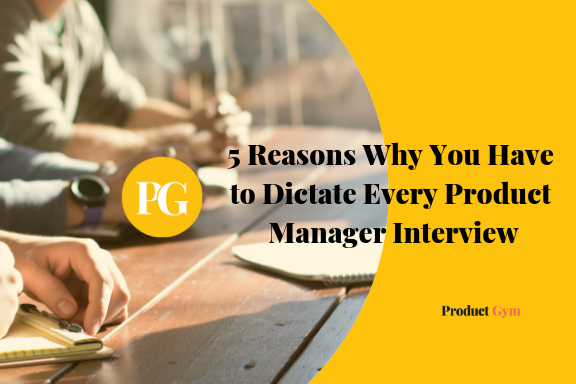 You can do everything right and Product Manager interview and not get the offer. You get an offer and it could be terrible, or it can be a good offer, but a terrible company. Not every verbal offer becomes a written offer. Not every written offer becomes a start, so you don’t really have a choice but to get three to five offers. That’s what we focus on here. I hope I was able to shed some light. Edward: I really appreciate it, thank you so very much. Would this be something that we could share with our members here? Richard: Absolutely, we’re going to get this posted. I’ll be back in the Bay Area, I have London in March and then I’ll be back in the Bay Area in April, I look forward to seeing all the people over there again, it was fun hanging out over there for two weeks. 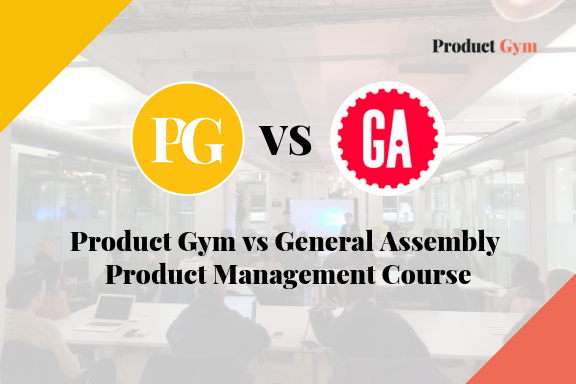 Anything we can do to provide clarity, we’re more than happy to do it here at Product Gym. Edward: Thank you. We’re looking forward to having you here and hosting you again. Thank you so much for taking the call.